Next week, I'm starting a new marathon that looks at some of the most notorious flops from movie history. The films on this list don't fall into that category, but they all had disappointing box-office results. I've chosen this Top 5 topic as a way to spotlight their greatness, not deride them for failing. We live in an era where people obsess over each movie's financial results, and each weekend feels like a sporting event. It's difficult to separate the creative success of a film from its ticket sales. I try to avoid thinking too closely about the box office when considering a movie, but I'll admit this approach doesn't always succeed. Loving a movie and then seeing it draw small crowds is disheartening, particularly while mediocre work sometimes draws huge results. It's the nature of an industry that still mostly focuses on the opening weekend to gauge success. Regardless, these films remain some of my favorites despite their inability to make significant profits at the start. This is the most obvious pick because there's a major disparity between the adoration for this film and popular interest at the theaters. This is a case where a niche movie received a budget on par with a more generic film. Edgar Wright did an excellent job adapting the graphic novels and bringing old-school video game elements to the story. It's a charming little fantasy that never takes itself too seriously. Everyone involved seems to be having a great time, and that tone carries over into the movie. Its lack of box-office success isn't that surprising, but I expect it's earned back its money with massive DVD and Blu-ray sales. Although it had a modest budget, Whit Stillman's third film received a considerable marketing push in art-house theaters. The Last Days of Disco is a dialogue-heavy look at yuppies struggling to figure out their lives. The disco setting provides a fun background, but it isn't really the focus of the story. Another factor in its performance was the imminent arrival of 54, a far inferior and more generic look at the famous '70s nightclub. This film is a witty, often hilarious look at characters who aren't so likable but are trying their best. Stillman has a unique voice that isn't for everyone, but he remains one of my favorite directors. Although the performance of Paul Thomas Anderson's fourth feature is fairly respectable, it's frequently called out as a misstep in Adam Sandler's career. This might be the case if you focus on the box office, but this approach ignores the charms of this inventive film. Anderson pulls from Sandler's comic persona and delves into the rage that lies beneath many of his goofball characters. The bright colors and Jon Brion's score sell the positive romance between Sandler's Barry Egan and Lena Leonard (Emily Watson). He's a messed-up guy but finds a new lease on life through her. While Punch-Drunk Love stands apart from the rest of Anderson's filmography, it's also a truly original movie that deserves more acclaim. It did well around the world, but Timothy Dalton's second effort as James Bond is known as a failure because it fell short of previous efforts in the United States. The summer of 1989 was very crowded and included Batman, Lethal Weapon 2, and Indiana Jones and the Last Crusade. This wasn't the best timing for a more serious, unconventional take on the franchise. It pains me to hear so many people dismiss Dalton's tenure and praise Brosnan's sillier work. Licence to Kill ranks among the best from the entire series because it doesn't fall into the standard mold. Sending Bond on a nasty quest for revenge is thrilling and sets up the more serious take of the Daniel Craig films. Dalton brings a realism and grittiness to the character that was missing from the later Roger Moore pictures. Considering all the acclaim that it received upon its release, I was surprised to discover that Almost Famous was such a financial disappointment. 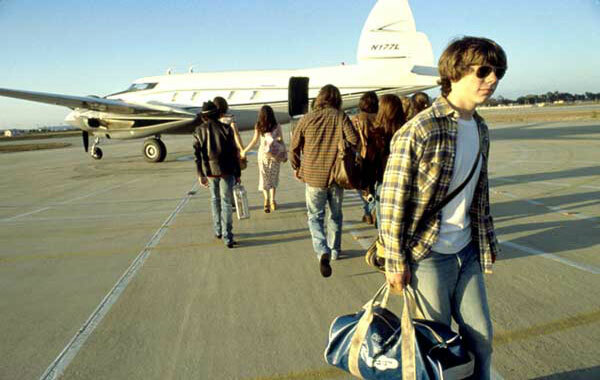 Cameron Crowe's personal story of a boy (Patrick Fugit) traveling with a band in the '70s hits all the right notes for me. It's sentimental but never feels effortless because we're connected to the characters. I'm a huge music fan, so a story about true love of that art is right up my alley. It's my favorite Crowe film, which is saying a lot from the guy who did Say Anything. It's easily re-watchable and includes classic scenes that feel timeless. The $60 million budget is surprisingly high for this type of intimate film, which isn't designed to draw huge crowds at the box office. 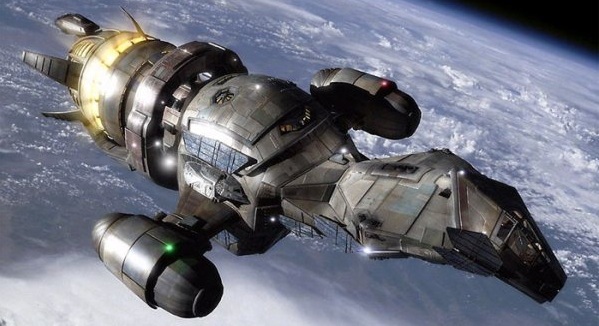 It feels like I can't get through a podcast without talking about Serenity at some point. I didn't watch Firefly during its original airing but caught it on DVD a few years later. This wonderful series was fresh in my mind when I first saw its theatrical follow-up. The fact that this movie actually exists is a miracle considering the brief run of the TV show. Joss Whedon creates a movie that connects well to the series without alienating new viewers. The massive DVD sales easily covered the budget, but the box office wasn't strong enough to continue the series. I love all of the characters and would join them for future adventures, but there's something magical about having limited hours with them. I'd love to hear your thoughts about this list. What are your favorite movies that fell short at the box office? You should also check out past Top 5 Lists if you've missed them. Cool idea for a top 5, Dan! There really are some gems that got overlooked by audiences. I thought you might include Whit Stillman! Last Days of Disco is my favorite of these choices. Punch-Drunk Love - The uniqueness of it I think was difficult to market, the poster looks like a standard rom-com. I remember I didn't 'get it' the first time I saw this one, so I wasn't rushing out to recommend it. Incredibly, Fight Club also did fairly poorly at the box office, $62 million budget, $37 million domestic box office. Perhaps because people thought it was more violent than it really is. A tough sell with that controversial movie title. Of course, Kubrick as well. Blade Runner wasn't a hit in 1982 either. Thanks Chris! 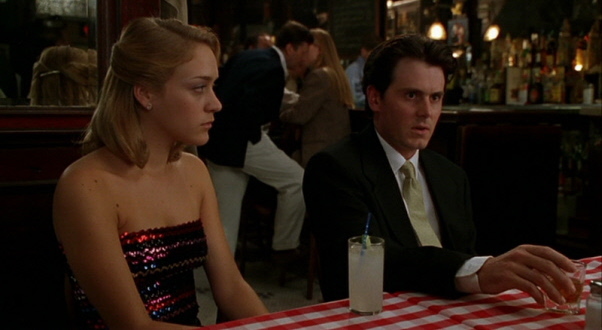 I couldn't do this list without Whit Stillman. Fight Club and Blade Runner are both great choices. There are so many great options; it's surprising to note how many films that we think of as classics didn't take at the box office. I was a huge Magnolia fan, so I was totally on board when Punch-Drunk Love came out. It's a pretty divisive movie, but I think it really works. I completely agree on Serenity and Scott Pilgrim. They are 5 and 4 star films for me, respectively. I always liked Dalton as Bond because he brought some much needed seriousness to the role. In fact, much of the praise heaped on Craig now was also said about Dalton at the time he played the role. It's been only since then that the retconning started on how bad Dalton was supposed to have been. I liked Almost Famous, but that was never going to be a box office hit. I saw Stillman's first two movies way back in the day, but not The Last Days of Disco. I've paid no attention to box office ever since the late 80s when Terry Gilliam's movie The Adventures of Baron Munchausen was deliberately killed at the box office by the new studio head because he hated everything his predecessor had done. Chip, I think what happened to Dalton is that Brosnan's arrival was spun as the "return to fun", so younger viewers who grew up with Brosnan find it jarring to watch Licence to Kill. Craig is able to be serious because it's a different era of action films (Bourne, Nolan's Batman series, etc.). Dalton was stuck in a time that didn't want a serious Bond, which is too bad. I try not to pay too much attention to box office, but I do fail a lot of the time. It's everywhere and while I try not to get wrapped up in it, I'm not sure it's a successful attempt. Wooo hoo!! Well you know I LOVE you for putting LTK on here, I so love that film and my recent rewatch renewed my appreciation for it and Dalton's performance. I really wish the producers had waited to release it until Fall or even late Summer, perhaps it might have done better at the box office. I really think timing was to blame for the flop, plus what you said that people weren't ready for the 'gritty' Bond movie. 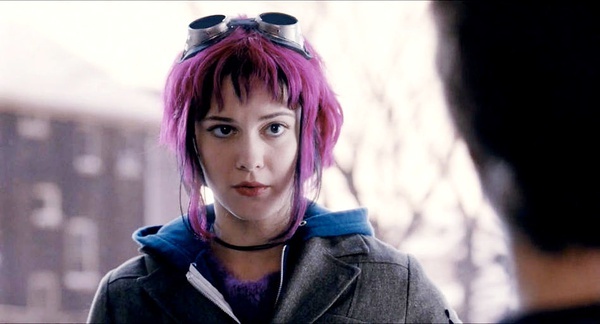 I quite like Scott Pilgrim vs. the World as well. It's interesting that the reception at comic-con did not translate to box office success on this one. Ruth, I figured you'd appreciate the Licence to Kill inclusion. I started this list with Serenity, Licence to Kill, and Scott Pilgrim right off the bat. I think there will be an ongoing debate for years about Dalton's time as Bond. Some people love it, and others still hate it. Either way, it's one of my favorite Bond films. Thanks! I'm glad you highlight Timothy Dalton here...topical given the release of Skyfall soon but also because I think his reign as Bond is unfairly brushed under the carpet. I like both his efforts...much more than anything Brosnan did post GoldenEye. I agree that Brosnan's films don't hold up really well beyond Goldeneye. It's too bad that Dalton only appeared in two films. 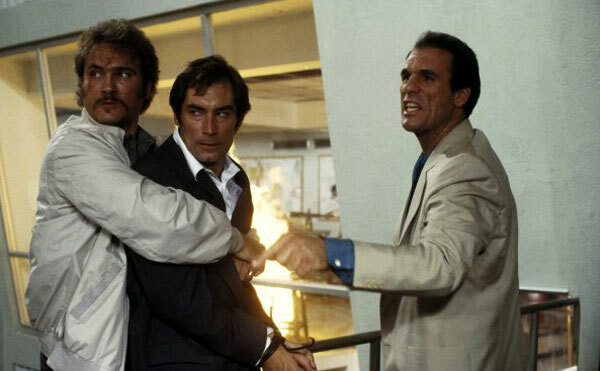 The Living Daylights is solid, and License to Kill is just great. I just don't think his approach fit with what was happening with action films in the late '80s. Brosnan is such a meh Bond. Goldeneye is the only film that works with him and he actually fires those one-liners like there is no tomorrow aka Roger Moore style. Even though that last note he never is sorted in the clownish section with Moore which I think he should be. I think Brosnan's tenure is weird because he'll have a random serious scene that works and then go back to the craziness. They're really uneven, especially the last two. I haven't watched them in a while, so I'd be interested to see if they've gotten worse or better with time. This is a great list, Dan. I think it's interesting that two of my all-time favorite films -- Almost Famous and Punch-Drunk Love -- were box office disappointments. On the plus side, at least Scott Pilgrim has gained a bit of a cult following since hitting DVD. Eric, I knew about Punch-drunk Love because I get angry when people call it a misfire from Sandler. Almost Famous was surprising to me, especially when I read about the pretty high budget. I think all these have done well afterwards and probably made a ton on DVD and Blu-ray, especially Scott Pilgrim. I think some of them are niche movies that had budgets on par with less interesting films. Scott Pilgrim and Almost Famous are great, but they're just not the kind of movies that are going to make enough to cover the budget. I expect both made it up at home, though. Thanks!